Test your knowledge of movie taglines and one liners while competing against your friends for the ultimate bragging rights. Featuring over 3,500 different taglines or one liners from 1,500 movies. Look forward to continual updates with new movies and taglines. 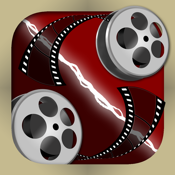 Download Movie Trivia Match Up today!